PARC Showcases Seven Energy Breakthroughs At ARPA-E Energy Innovation Summit - The Independent Global Source for the Flexible and Printed Electronics Industry. Shows energy innovations for IoT, smart buildings and cities, digital manufacturing, solar and more. 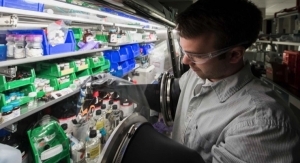 PARC, a Xerox company, announced its presence at the US Department of Energy’s Advanced Research Projects Agency-Energy (ARPA-E) Innovation Summit to be held in Washington, D.C. Feb. 27-March 1. “ARPA-E showcases the most advanced and revolutionary technologies that can truly change the world, and we see a wide range of high-impact applications for the technologies we’re showing at the Summit. Government funding and support of long-term fundamental and applied research is critical,” said Scott Elrod, VP responsible for PARC’s Energy Program. • Metamaterials-Enhanced Passive Radiative Cooling Panels (ARPA-E Program: ARID): PARC is developing a low-cost, passive radiative cooling panel for hydronic cooling on rooftops for air conditioning. Simulations show that this can offset HVAC energy usage by as much as 50%. • Collaborative Optimization and Planning for Transportation Energy Reduction (COPTER) (ARPA-E Program: TRANSNET): PARC is developing its COPTER system to identify the energy-efficient itinerary modifications most likely to be adopted by travelers. • Micro-Chiplet Printer (ARPA-E Program: MOSAIC): PARC is developing a prototype printer with the potential to enable economical, high-volume manufacturing of micro-PV cell arrays. PARC intends to create a printer demonstration that uses micro-CPV cells or “chiplets” as the “ink” and arranges the chiplets in a precise, predefined location and orientation, similar to how a document printer places ink on a page. • Smart Embedded Network of Sensors with Optical Readout (SENSOR) (ARPA-E Program: AMPED): PARC has developed a low-cost embedded fiber optic sensing system for batteries to monitor key internal cell parameters during charge and discharge cycles. This system is currently being tested for automotive batteries by GM. • System of Printed Hybrid Intelligent Nano-Chemical Sensors (SPHINCS) (ARPA-E Program: MONITOR): PARC is working with BP and NASA Ames to combine low-cost print manufacturing and NASA’s gas-sensing technologies to develop printable sensing arrays that will be integrated into a cost-effective, highly sensitive methane detection system. • Scalable Transparent Thermal Barriers for Single-Pane Window Retrofits (ARPA-E Program: SHIELD): PARC and its partners are developing a new windowpane that incorporates a transparent polymer aerogel to prevent thermal losses. 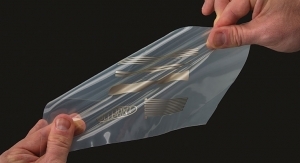 • Flexible Large-Area Thermoelectric Generators (ARPA-E Program: LATEGs): PARC is developing high-performance, low-cost thermoelectric devices on flexible materials to capture low-temperature waste heat, an abundant and difficult-to-harness energy resource.